It’s time to start planning that trip to Latin America. 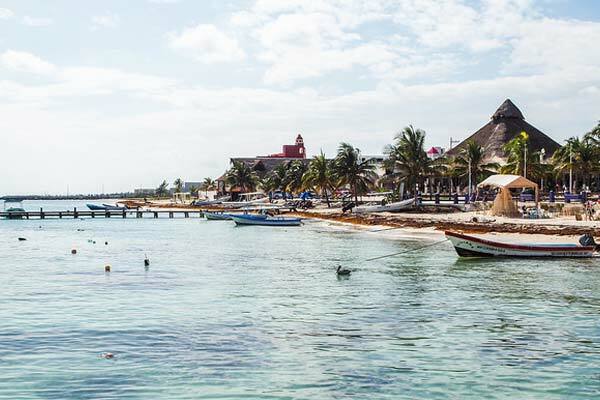 Whether you’re looking to check out the region’s many retirement hot-spots or just enjoy a laidback, low-cost vacation, there’s no better time than now to travel south of the border. My husband Dan and I have been scouring Latin America since we began our expat adventure in 2001. During that time, we’ve lived in Mexico, Panama, Nicaragua, and Ecuador, and visited many other countries in the region. By trial and error, we’ve learned the secrets to getting the best bang for your buck when traveling here. This is how you do it. From the U.S., you can book any of the major U.S. airlines and budget carriers, including Southwest, Frontier, Spirit, and JetBlue. But don’t overlook locally based international airlines that often offer newer planes and better services, such as complimentary food and drink. The bigger players in the region include Copa, Avianca, LATAM, and Aeromexico. Lesser-known carriers include Volaris, InterJet, and VivaColombia. You probably know this, but two of the best aggregator websites for finding airfares from the U.S. are Kayak and Google Flights. Use the “flexible dates” feature to pull up the best fares. As for buying domestic airfares within Latin America, you’ll sometimes find them listed on the big aggregator websites, but not always. And you may find better deals if you go directly to the airline websites. More on this later. Don’t disregard bus travel. In most Latin American countries, bus travel is nothing like the grungy experience in the States. Instead, you’ll find many upscale (but very affordable) bus lines. Seats tend to be fully reclining and comfortable. There’s often a bathroom on board. Sometimes you’ll even get a snack and a soft drink. And they show movies (if you’re a Jean-Claude Van Damme fan, you’re in luck). Some have free WiFi. And you’ll be treated to wonderful scenery along the way. Just don’t forget to pack a sweater—it may be warm outside, but onboard the air conditioning is often on full blast. For bus travel in Mexico, you can typically buy tickets online. But in other Latin American nations, you’ll need to buy them in person, either at the main terminal or in a substation or office, usually found in every community of any size. Bus-line websites are good for checking schedules, although these can change at any time. Thebusschedule.com is a great resource for finding bus schedules in any country you’re traveling in. Similarly, new online services like Andes Transit and Latin Bus are consolidating regional schedules and ticket-purchasing options. Be sure to read the fine print when booking on budget carriers. For instance, know your baggage limits: Many charge for checked bags and for more than one carry-on. Often those carry-ons have weight limits. If your bag is overweight, you may pay a steep fee. You can often find better deals at in-country websites in the local currency. You can do currency conversions at Xe.com to see if you’re getting a good deal. Mexico: Besides Volaris, budget airline carriers in Mexico include Vivaaerobus and Interjet. (Check both Interjet.com and Interjet.com.mx, as sometimes flight options show up on the Mexico site that don’t appear on the U.S. site.) Interjet can get you from Mexico City to the state of Guanajuato (home to popular expat enclaves like San Miguel de Allende) for only $60. Bus lines in Mexico include ADO, ETN, and Primera Plus, which in the Colonial Highlands also operates the low-frills Flecha Amarilla line. If you are a legal resident of Mexico and over 60 with an INAPAM card, you qualify for a 50% discount on your bus fare. Belize: In the small country of Belize, you can quickly get just about anywhere in the country via Maya Island Air and Tropic Air, which also offers service to Cancún, Mexico, and select destinations in Guatemala and Honduras. Buses arrive at and depart from the Belize City bus terminal (still commonly known as Novelo’s, the name of a former bus company). Bus companies offer two types of service: “express” (or non-stop) buses, such as James Bus Line that depart from regular locations and stop only at main towns, and “regular” buses that you can flag down anywhere along the route. Nicaragua: You can check for flights from the capital, Managua, on Nature Air and SANSA Airlines (which also flies to Nicaragua’s Emerald Coast). If you’re going to the Corn Islands, in the Caribbean, La Costeña Airlines flies those routes, as well as to a few other, more remote destinations, including Ometepe Island on occasion. Distances are short in Nicaragua, so you’ll likely do most of your travel overland. A couple of bus lines will take you from Nicaragua to neighboring countries (Costa Rica and Honduras). These include Transnica, Nicabus, Nica Expreso, and Tica Bus. Costa Rica: Both Nature Air and SANSA Airlines fly extensively within Costa Rica. One-way tickets from San José to the popular beach retreat of Tamarindo start at around $55. 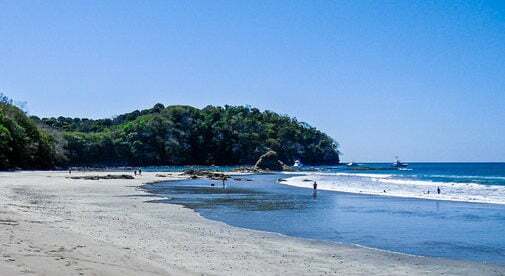 From Costa Rica’s capital, San José, you have several options for bus travel, including the Alfaro bus line that travels to the northern province of Guanacaste. Transportes Jaco will get you to the central Pacific town of Jaco. You can also opt for a private shuttle company, such as Interbus and Gray Line. To travel to Panama by bus, your best bets are Tica Bus and TRACOPA. First-class cross-country buses depart Panama City from the Terminal Nacional de Transporte, also in Albrook. One is Panachif, which features comfortable single- and double-decker buses. With the 25% pensionado discount, you’ll pay $23 round trip from Panama City to David. If you’re traveling to David (which is close to the popular expat haven of Boquete) from Panama City, take the overnight express…it takes only six hours as compared to eight hours on a daytime bus that stops all along the way. Colombia: The no-frills budget airline VivaColombia may offer more convenient routes and travel times. 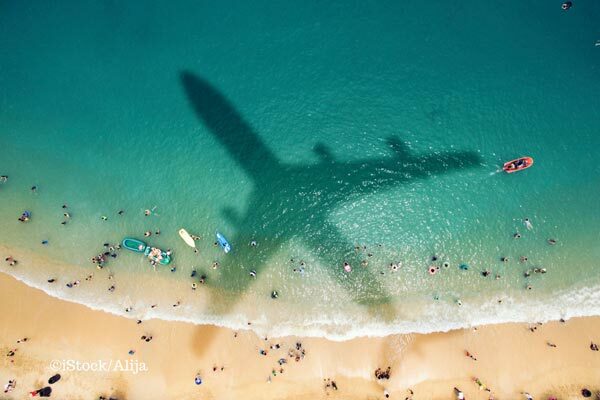 But all the extras can add up to the same price you’ll pay on a full-service airline like Avianca (Avianca.com). Government-owned airline Satena flies to many of the country’s hard-to-reach destinations. ADA flies within the popular department of Antioquia, home to the country’s premier retirement haven, Medellín. 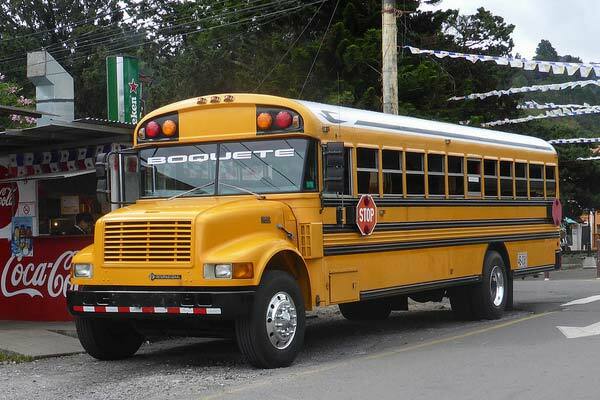 Several bus companies serve Colombia at reasonable prices. But due to the mountainous terrain, travel times can be long. Rápido Ochoa is one of the largest, with good schedules and tickets available online. Ecuador: As Ecuador’s terrain is similar to Colombia’s, air travel is often much faster than bus travel. You can book domestic flights though Tame Airlines, Avianca, and LATAM. Return tickets from the capital, Quito, to the expat haven of Cuenca can be bought for as little as $56. Ecuador is served by several regional bus lines. Flota Imbabura, Coactur, and Reina are some of the best. You can buy tickets at terminals in major cities and at substations in smaller towns. Figure on paying around $1.10 per hour of travel.